In 2017, over 78% of the world’s luxury goods companies used influencer marketing, with Spain as one of the leading companies in this practice. 40% of consumers make purchases based on influencer recommendations. In 2016, for every $1.00 that brands invested in influencers, they saw a return of $11.69. With this data coming in strong, influencer marketing has made massive inroads as one of the most effective ways of promoting brands. However, legal questions still abound for influencers themselves, the brands that hire them and the agencies that serve as their intermediaries. On October 30, Garrigues organized a workshop bringing together in-house lawyers, sector-specific communications companies and influencers to gain a clear view of this practice today and to discuss the need for regulation and the most relevant legal aspects to be borne in mind. Carolina Pina, partner in charge of Garrigues’ Intellectual Property Department, explained that when regulations are called for, what are needed are clear rules on the obligations falling to each of the players involved. She emphasized that it is always advisable to have a watertight contract and that, when drafting it, lawyers should have a clear understanding of the game plan, so that it can be custom-tailored to each case. Guided by the moderator Carolina Pina, the experts also assessed the fact that social networks have started rolling out their own tools to identify advertising content, something that, as Lorena Cava argued, will benefit both influencers and brands. Regarding the debate on whether advertising content should be explicitly labeled, Cristina Mesa, principal associate with Garrigues’ Intellectual Property Department, explained that if the average consumer can see that it is an ad campaign, it does not need to be specifically identified as such. Otherwise, the content should be clearly labeled. 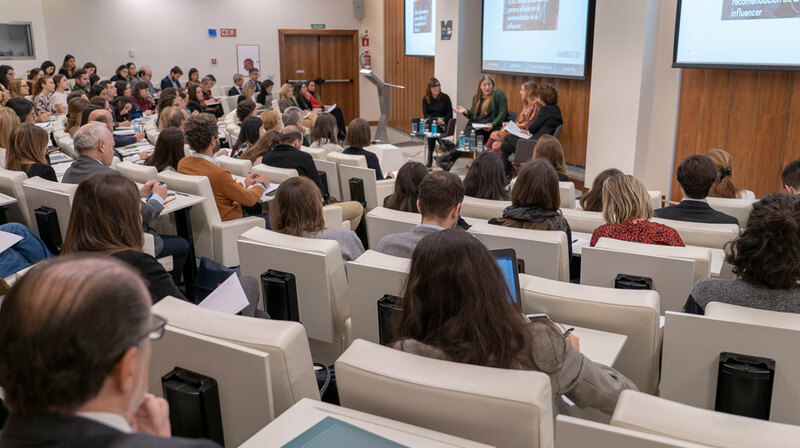 Specialists from Garrigues’ intellectual property, tax, labor and data protection areas touched on the most important legal issues to be taken into account when an influencer is brought into an ad campaign, offering some on-the-spot legal advice. Álvaro de la Cueva, partner with the firm’s Tax Department, spoke about tax obligations, since influencers perform a business activity subject to personal income tax. He clarified that any gifts influencers receive are payments in kind and are also taxable: “When a brand gives an influencer a purse, it expects something in return. From a tax standpoint, this is an exchange for which the influencer is taxed. The brand, in contrast, can deduct it as an expense. Plus, any invoices must include value added tax.” Of course, for the expense to be tax deductible, it must relate to the brand’s business. From the standpoint of data protection, Katiana Otero, associate with Garrigues’ Corporate/Commercial Law Department, stated that influencers are carrying out a business activity and must fulfill their obligations as controllers of the data they handle (user and follower mailing lists, etc.). In that regard, she pointed out that “compliance with the GDPR includes analyzing who is the controller of the personal data being processed” and that it is important to determine the purposes for which the gathered data will be used. She added that all contracts with influencers must contain a clause on data privacy.